Here are some of Sedona's best hotels, resorts, bed and breakfasts and vacation homes. When visiting Sedona, where you stay can be a complete experience on its own. Sedona hotels and resorts go above and beyond expectations when it comes to hospitality. Even boutique budget hotels provide complimentary, gourmet breakfasts; elaborate dog parks for your fur-baby; expert concierge service; and of course, hot tubs, pools and other "standard" amenities. You can certainly expect high-quality accommodations almost anywhere in Sedona. There are several well-known brand name hotels in Sedona that maintain everything you like about the brand, only with the addition of the Sedona red rock, Southwest flair. These hotels are always a great choice because you know what kind of quality to expect, which can be important since you're already making the time and monetary investment. But if it suits you, Sedona has unique, hotel and resort accommodations second to none. Sedona resorts have the tendency to be ranked among the most posh in the Southwest. Resorts like Enchantment and L'Auberge sit along Oak Creek and offer services such as therapeutic massages on the creek in the natural setting of the babbling brook. But if that's more than what you are looking for, Sedona has its fair share of budget hotels as well. Whether you treat yourself to a quaint boutique Sedona hotel, luxurious resort and spa along Oak Creek, or an absolutely charming bed and breakfast with stunning views, you'll find a very distinct type of casual hospitality in Sedona that will only the start of a great vacation. 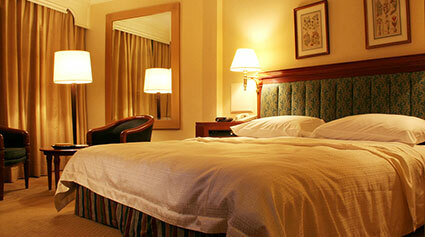 Sedona offers both chain and familiar brand name hotels, though they are far from your only choice. Not only are there a number of boutique hotels in Sedona, Arizona - in fact, they are the rule, not the exception - and several are hidden away from the hustle and bustle of year-round visitors. So what is a boutique hotel? Generally small, well-appointed hotels and inns noted for their excellent service and attention to details, boasting individualism and uniqueness not found at many familiar brand name hotels. Special occasions and special requests are the norm at these Sedona boutique hotels so enjoy your time in Sedona and book extra nights if you can! Sedona can get a bit pricy, especially during peak-season and on holidays. There are motels in Sedona that might be a little friendlier to your pocketbook. 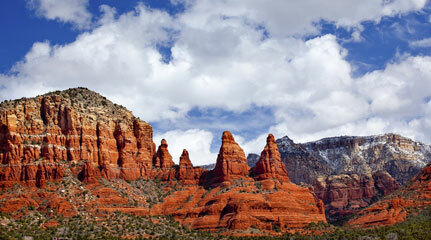 Choose a Sedona motel for last minute or budget room and get ready to enjoy the gorgeous red rock views. Sedona offers a range of motel options including brand name motels as well as local one of a kind accommodations. If you're just looking for a place to stay while you're out exploring this beautiful part of the country, you'll be pleased to know there are motel options to fit your needs. Sedona provides upscale, luxury resorts second to none. If you are looking to have the ultimate luxury vacation, stay at a Sedona resort and spa and get the VIP treatment. Enjoy a chef prepared brunkch and a relaxing massage along the side of the Oak Creek. There's no need to mimic the beauty and peacefulness of nature in a massage room, when you get to experience it not only first-hand, but from the comfort of a luxury resort setting. Sedona resorts often offer million dollar views of the red rocks and complete menu of amenities that will make you just want to stay in and enjoy all the resort has to offer. If that's your style of vacation, indulge away! You'll want for nothing. If you want to go explore Sedona, the resorts' knowledgeable concierge will gladly take on the role of your personal trip planner. A stay at one of the Sedona, Arizona bed and breakfasts is an enchanting experience that is not to be missed. Check into a private, provincial or romantic guest room and prepare for one of the most unforgettable Sedona vacation experiences there is. At a Sedona bed and breakfast, guests are served a gourmet breakfast as part of the overnight rate and these Sedona bed and breakfasts are famous for offering different blends of beautiful red rock views, resort-style amenities, secluded creekside retreats and quaint, country-style accommodations. Owning and operating a bed and breakfast in Sedona has become evolved into a craft rather than just providing place to sleep for the night. 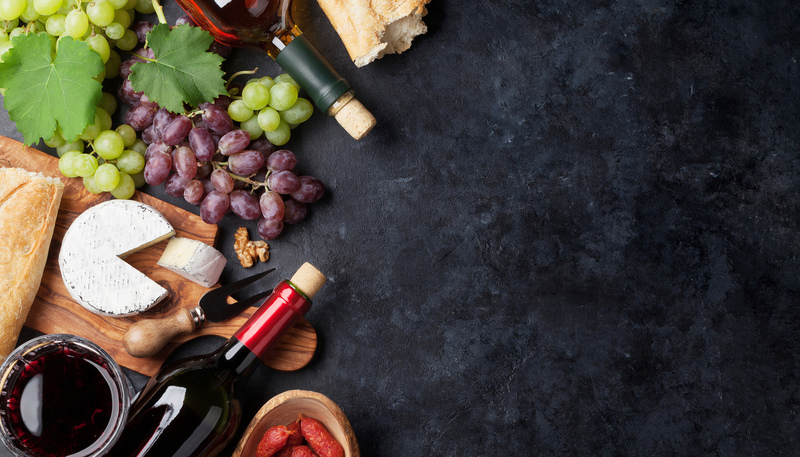 From local vineyard wine tastings, local ingredients in breakfasts, and serene retreats just steps from the room to private yoga and door to door Sedona tour transportation, you won't be disappointed. Flagstaff welcomes everyone, but some places pay even more special attention to the needs and lifestyles that are important to us. In this section, we focus on helping visitors find the hotels, B&Bs, vacation rentals and other types of lodging are conducive to specific traveling preferences. From pet-friendly to family-friendly establishments, we're going to try to make your visit to Flagstaff easier and more enjoyable. Bringing Fido with you to Sedona? The more the merrier! At these pet-friendly hotels in Sedona, your pet is family. There is a range of pet-friendly options; some hotels permit pets in the room, while others have a fluffy dog bed and dog cookie waiting for your pooch upon check-in. 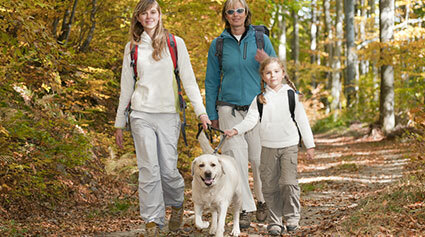 It all depends on what you and your pet want to experience while staying in Sedona. Many restaurants allow pets on the patio. Often times, you'll find places that serve drinks and coffee only more welcoming to our furry friends, but we've compiled a list of places in Sedona that will welcome both you and your pet with a tail-wagging welcome. Your family is most welcome at these places in Sedona. 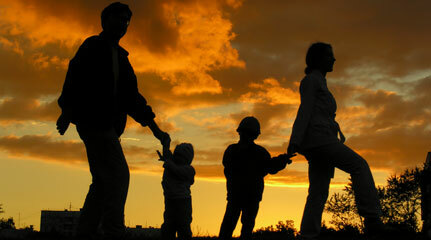 Family-friendly means going the extra mile to help you manage your trip with your kids and partner in mind. From activities, accessibility, safety and convenience to space, flexibility and more, these family-friendly hotels and restaurants are here to make your Sedona vacation more enjoyable for you and the whole family. Planning a romantic weekend with your special someone? There are few more potentially romantic places than Sedona, AZ. Sedona's spectacular views via hot air balloon ride, hike to mountaintop or creekside strolls are sure to provide a romantic ambiance that's perfect for sharing with someone you love. Sedona resorts specialize in luxury services including spa treatments, spiritual healing, yoga among other amenities unique to Sedona. If staying at a cozy bed and breakfast is more your style, you won't be disappointed when staying at a Sedona B&B. Romantic accommodations are everywhere in Sedona, now it's time to find the right one for you. After you've found the perfect place to stay, we've got some ideas for romantic activities as well as the most romantic places to dine. This may be your most romantic getaway yet! Your unforgettable Sedona experience must include spending time staying, shopping, dining and more in the Sedona Village of Oak Creek. Nestled at the base of Courthouse Butte and Bell Rock, this laid-back residential and business community is 5 miles south of the Uptown Sedona business hub. The Village is considered often the Gateway to Sedona’s Red Rock Country for visitors arriving in Sedona via I-17 and Highway 179, Arizona’s first All American Road, the “Red Rock Scenic Byway.” The Sedona Village of Oak Creek offers don't-miss shopping experiences at the Oak Creek Factory Outlet Stores, Bell Rock Plaza, TeQua Marketplace and a half-dozen other retail centers. Admire the red rock views as you either gently meander around the Scenic Byway's friendly roundabouts or walk the “Sedona red” sidewalks lining both sides of the Scenic Byway. "The Village" is THE place to pick up a Red Rock Pass and hike around Courthouse Butte and Bell Rock. Then, explore the Sedona Village of Oak Creek's several golf courses, bed & breakfasts, restaurants, hotels, art galleries, retail shops and professional businesses. This Freshly Renovated Boutique Sedona hotel is located near the Thunder Mountain, Lizard Head, Chimney, Sugarloaf and Coffeepot Red Rock formations. This Eco-Friendly hotel in Sedona offers easy access to uptown Sedona shopping, as well as Oak Creek Canyon, Red Rock Crossing, Dry Creek hiking trails, Bell Rock Vortex & Hiking Trails. In between the red rocks of Sedona, the The Andante Inn offers clean, comfortable rooms at a very affordable price. This Sedona, AZ motel offers 2 onsite restaurants, a meeting room, swimming pool and satelite TV. Many activities available including; Jeep rides, The scenic Verde Canyon Railroad, hot air balloons, Grand Canyon etc. In the heart of Uptown Sedona, unsurpassed Red Rock views and modern amenities await at Orchards Inn. Tucked into the hillside, all guest rooms feature a private balcony or patio allowing guests to enjoy breathtaking views of Snoopy Rock and Oak Creek Canyon. Each room includes thoughtful details and colors reflective of the beautiful environment, including rusty shades of red, warm browns and vibrant turquoise to represent the nearby mountains, creek beds and running water. The picturesque, family-friendly property is located just steps from Sedona's many local shops, galleries and restaurants. Thinking about getting married in Sedona? Sedona Destination Weddings will help you create the perfect Sedona wedding for you, the way you want it. Get our free video on the Top 5 Outdoor Wedding Sites in Sedona and find out which one of Sedona's spectacular red rock vistas is your first choice for your wedding site or drive to the chapel for your special day. Our expert wedding planners and heart-centered officiants will make sure your wedding day is stress-free so you can be present and enjoy one of the most important days of your life. We have wedding and elopement packages to fit every budget and we know how to customize your wedding ceremony so that it speaks directly to your hearts. We look forward to making your wedding day unique and unforgettable in one of the most magical places on earth. Located on a hilltop in the heart of West Sedona, A Sunset Chateau B&B has unparalleled panoramic red rock views. This secluded, artist paradise, replete with original murals, paintings, and sculptures, captures the spirit of Sedona. 25 individually decorated suites have private entrances and baths, fireplaces, jetted tubs, kitchens, gorgeous red rock views, and more. Gourmet breakfast included each morning. Resting on the "Top of the Hill" offering picturesque views of Prescott, experience Northern Arizona's premier getaway, the Prescott Resort and Conference Center. Located only 60 scenic miles from Sedona, the Prescott Resort is a great escape for a relaxed weekend, corporate retreat, or conference meeting. Experience the charm of Northern Arizona at the Prescott Resort. Each of our newly renovated 160 guestrooms feature modern amenities that cater to our guests needs, i.e. High-Speed Wireless Internet and Flat-Screen Televisions. Each room was designed in the spirit of the Yavapai Tribe and offers artwork indicative to the majestic scenery of the Prescott area. Welcome to the Cottonwood Quality Inn featuring FREE Q Cafe Breakfast each morning, WiFi throughout and in all rooms, local calls, coffee, newspaper (Mon-Fri), and HBO. Renovation 2008. New Serta mattress sets all rooms. Renovation 2009. New self-controlled heater/AC unit, microwave, and refrigerator all rooms.The Hotel is centrally located among many Arizona-popular tourist areas with a variety of restaurants within a 2-mile radius. Easy access to I-17 and HWY 89A. We look forward to meeting you—come visit the beautiful Sedona-Verde Valley. Conference Hall now open. No Elevator to second floor. Stairs Only. 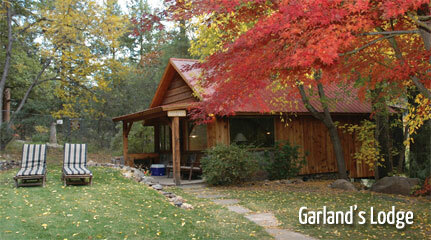 Forest Houses Resort is situated on 20 wooded acres in upper Oak Creek Canyon. The resort is separated from the highway by trees and Oak Creek – a clear, cool continuously running mountain stream stocked with Rainbow and Brown trout and supporting an abundance of birds and wildlife. Fifteen houses in all, nestled in the dappled sunlight between canyon walls amid a forest of red maple, aspen, chaparral and seven varieties of oaks. Cool summer temperatures and picturesque winters make this the perfect retreat for people who enjoy peace and quiet in this crowded world. Situated among the stunning red rock formations of Sedona, Arizona, this hotel has an on-site top-rated golf course along with spacious accommodations, moments from area attractions and activities. The Ridge on Sedona Golf Course provides guests with a variety of on-site amenities and facilities. With in-room full kitchens, outdoor barbecue facilities and a modern fitness center, every stay is sure to be enjoyable. Guests can also enjoy contemporary accommodations featuring private balconies or patios. The area surrounding The Ridge is filled with a variety of recreational activities. Guests can enjoy scenic hiking trails through Oak Creek Canyon or a hot-air balloon ride over the desert. A number of shopping centers and restaurants are also easily accessible from the hotel. 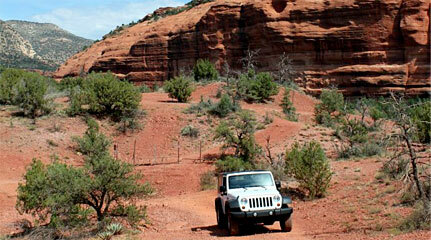 West Sedona Escape offers accommodations in Sedona, just 25 miles from Flagstaff. The property is 14 miles from Cottonwood and free private parking is featured. There is a dining area and a kitchen. A TV with cable channels is available. Other facilities at West Sedona Escape include a barbecue. Guests can enjoy various activities in the area, including cycling and hiking. 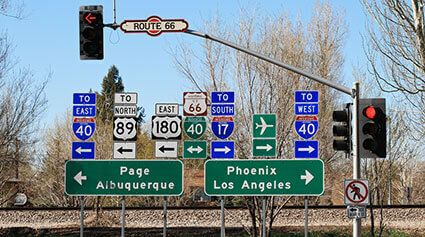 The nearest airport is Flagstaff Pulliam Airport, 21 miles from West Sedona Escape. Romance isn’t just for Valentine’s Day! Come and enjoy the romantic rooms and views and the tranquility. Pamper yourself and your love in our best available King room, enjoy a couples 1 hour massage, and a $75 certificate at The Golden Goose American Grill with live music Sunday, Tuesday, Thursday. Stay for 2 consecutive nights, enjoy the 2 person jetted tub, a romantic fireplace, a private patio, and enjoy the romance! Additional nights may be added at regular room rates. $799 per couple. Harmony House offers accommodations in Sedona. Free WiFi is available throughout the property and free private parking is available on site. Some rooms feature a seating area for your convenience. For your comfort, you will find free toiletries and a hair dryer. Flagstaff is 24 miles from Harmony House, and Cottonwood is 15 miles away. The nearest airport is Flagstaff Pulliam Airport, 20 miles from the property. 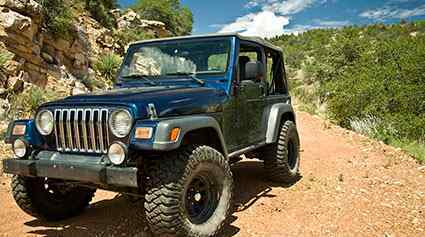 Rent a jeep for the day or have someone guide you on a jeep tour! Experience why this is the favorite modern Wild West Sedona adventure.